Dating from between 800 B.C. and 500 A.D., these are considered to be the oldest remains of habitation and the best place to experience traces of pre-Hispanic culture. The site is buried in the sand, and for this reason only a part has been excavated. 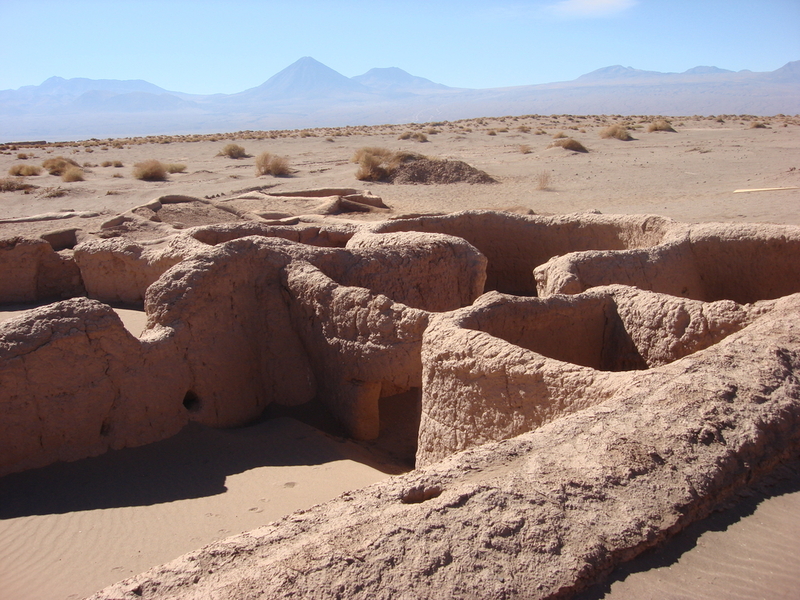 It is situated in the area of the Atacama salt flat. Its architecture is characterised by circular houses and a maze of passages. These are conserved thanks to the sand dunes, which have also contributed to its destruction, since a large part of the village is still buried below the dunes. Altogether, it consists of a conglomeration of 22 circular sites, with other constructions serving a variety of purposes. They all add up to a total of 106 mud-built buildings. Do you like what you see? Share it!